If I had to pick one color to wear forever, navy would probably be it. It’s universally flattering and looks great all year round! Since it’s so great, I decided to just take this look monochromatic. If you’re on the hunt for workwear, this top and pair of pants are two pieces you should look into. The pants have an elastic waist (I know, you’re already sold) with a laid-back feel yet professional vibe. The top resembles some others I have from Madewell, but it’s actually another Loft gem. I’ve styled it with jeans just as easily and I’ll be wearing it with denim shorts come summer time. 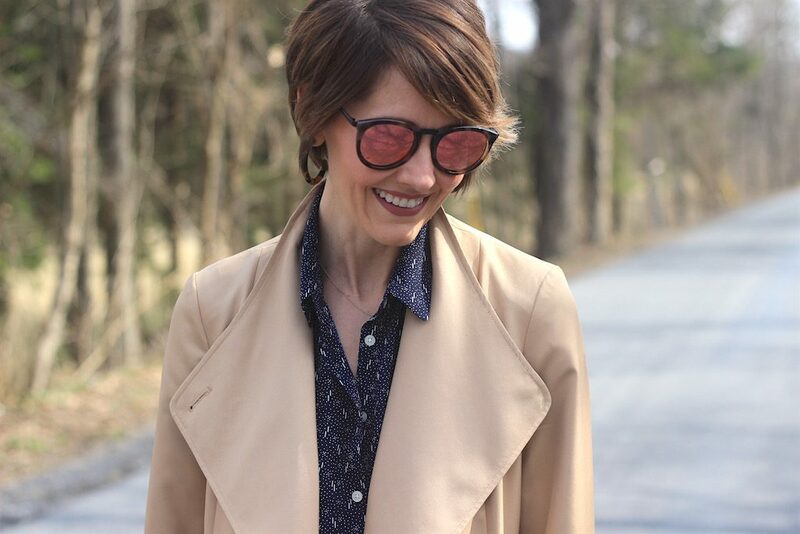 A camel trench is a great piece to have on hand. It’s a great way to ground an outfit and a classic color that will go with almost anything. If you want to see more ways of styling this particular top, check out my latest styling video on Instagram to get some ideas. I’ll have it up later today!